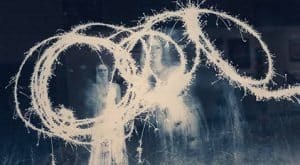 Personal goals are often just as important as academic goals to college students and connecting with a faculty member who supports both can make a lasting impression. Whitney Moss, above left, a mass communication graduate of McNeese State University, recalls how Dr. Tracy Standley, assistant professor of mass communication and now head of the department, contributed to her success as a student and now as a business owner. As a mentor, Dr. Standley encouraged and challenged Whitney to push herself beyond her capabilities. By having someone who believed in her, Whitney developed the courage and confidence to open her own business. Once Whitney had an idea for her ice cream shop, she started creating menu items, choosing her brand colors, ordering equipment and mixing ice cream in her parent’s living room. 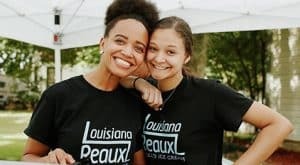 Louisiana Reauxl, a rolled ice cream shop, opened in February 2018 in Lake Charles. Rolled ice cream begins with a flavor of ice cream spread over a freezing cold plate, covering it with toppings and then rolling up the ice cream. Whitney hopes her experience will inspire others to move past their own boundaries.